This newly renovated room features a stylish and modern design to bring the Pullman brand experience to a resort setting. The contemporary furnishings design with bright wood color and strong and contrasting room elements evoke elegant feelings and efficiency. Premium Deluxe Rooms come with balcony with sea view and sunset at Kuta Beach. At Pullman, a five star hotel in Bali, the management ensures guests can enjoy the latest design trends. The hotel management is very happy to provide a new Pullman experience. Pullman Bali Legian Nirwana has 351 suites and rooms with private balconies or garden terraces allow guests to enjoy the fresh air and sunshine while they are in the room. Located in an ideal location, on Bali's most famous beaches, Kuta Beach and Legian, this hotel features Deli Restaurant to serve all-day dining needs, L-Bar near the lobby area, and G-Bar in the pool garden. 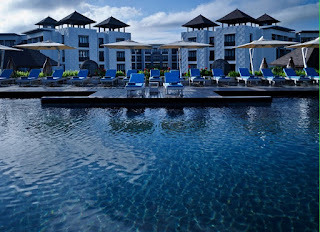 It deserves to be dubbed as a stunning five star hotel in Bali and provides more comfort to its guests. 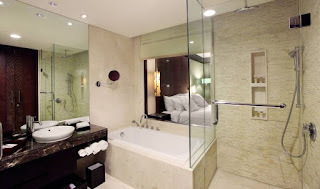 In Instagram Pullman Hotel account, seen some pictures of the bedroom, pool facilities and other facilities that will spoil visitors who come. 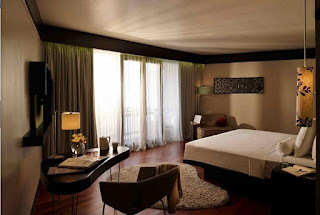 The response of the guests about this five-star hotel is that most of them like their spacious rooms, although some of them say the rooms are ancient and suggest that maintenance can be improved. From the rooms can see the view outside the room. 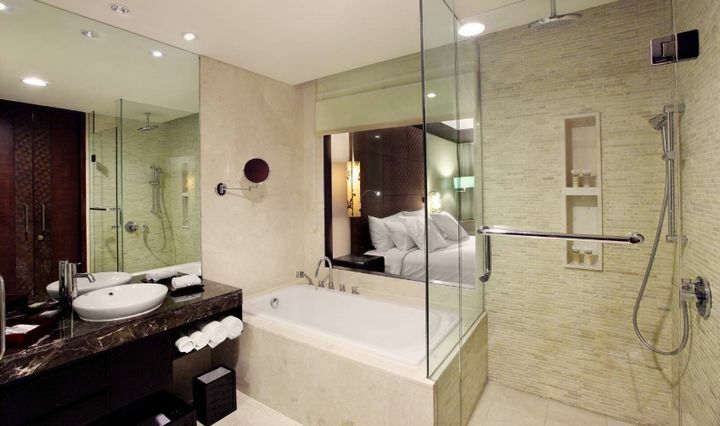 Guests love the spacious bathrooms, although some of them say less clean. While in the room, we can see directly the activities of tourists who visit Bali Kuta Beach, because of its strategic location. Built with the concept of green building, the view from the balcony of the room is also more to show the beauty of the green color on the crop. In addition to being satisfied by a variety of super-complete breakfast menu, hotel connectivity lounge is also very helpful to visitors. 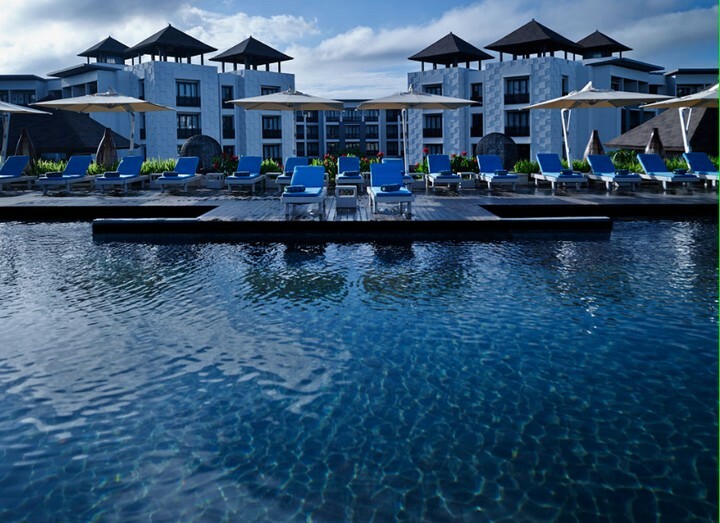 This five star Bali hotel is located in Kuta. We all know that Kuta Bali has the most famous beach. Kuta is also the most crowded tourist area in Bali. All the party-loving tourists will gather here at night. Because Kuta has many places to party. Bars, cafes, discos, restaurants, all in kuta. 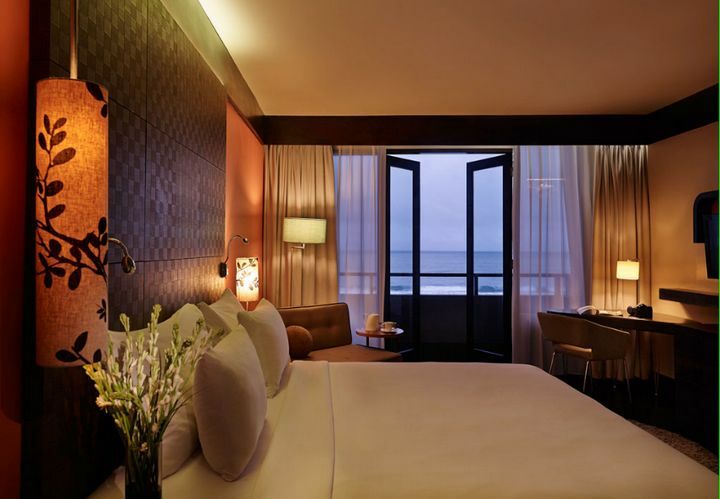 If you stay at this five star hotel, Pullman Bali Legian Nirwana Hotel and Resorts, then you will have no trouble to get to other places of interest. Legian, Seminyak, Nusa-Dua, Airport. The beach is very close, while watching the sunset. Walking in Kuta also will not feel alienated, because Kuta is an international city. Many people from different countries are here. The most congested city in Bali with foreign tourists from foreign countries who are on vacation or just a walk.